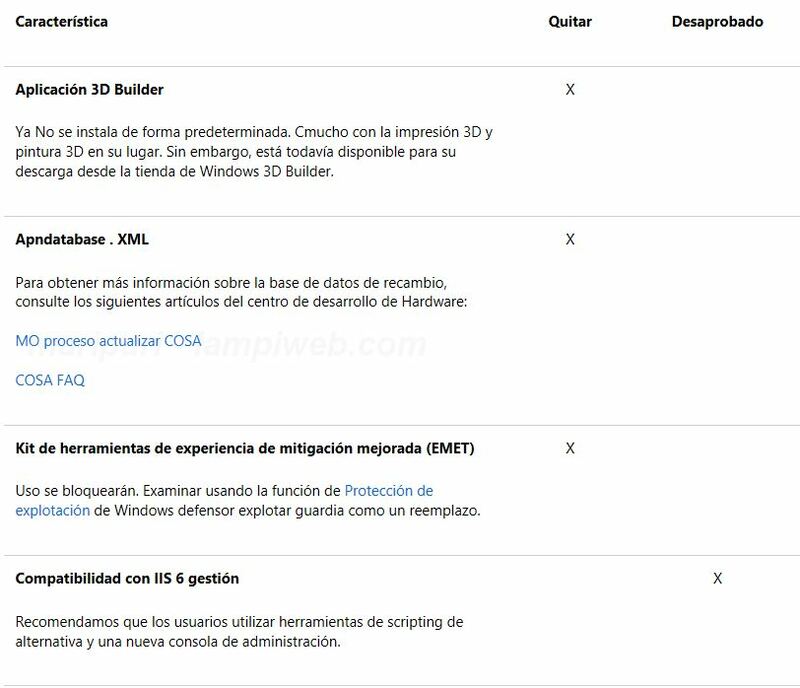 Pero no solo eso, la compañia pretende alienar las actualizaciones de características del sistema con la suite ofimática Office resultando que Windows 10 recibirá dos veces al año (marzo y septiembre) nuevas características en beneficio de los usuarios. 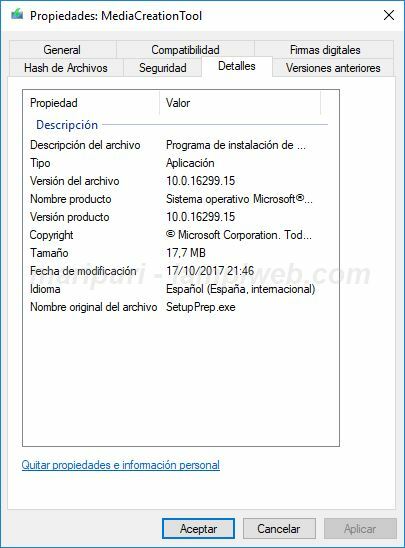 Igualmente la nota añade que cada nueva versión características de Windows 10 será atendida y apoyada por 18 meses. 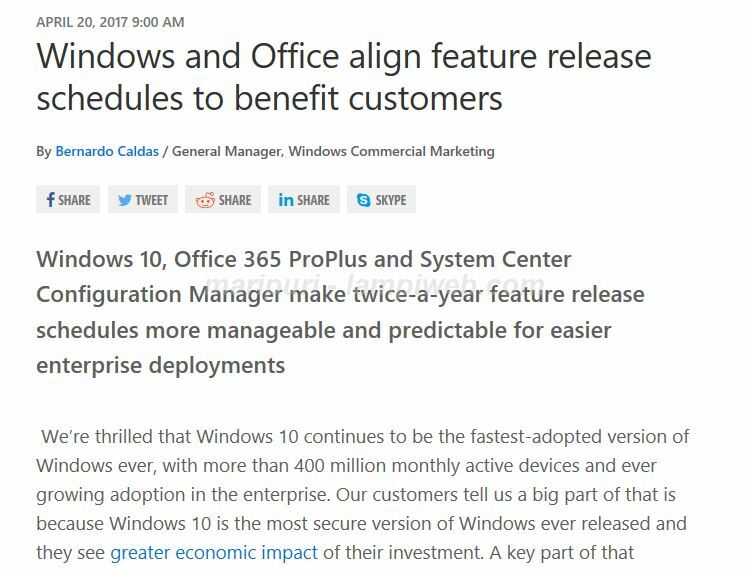 Windows is committing to a predictable twice-per-year feature release schedule, targeting September and March of each year, aligning with Office 365 ProPlus. The next Windows 10 feature update will be targeted for September 2017. Each Windows 10 feature release will be serviced and supported for 18 months. This is consistent with our current Windows 10 approach, but adds further clarity and predictability to organizations by aligning with Office 365 ProPlus. In addition, System Center Configuration Manager will support this new aligned update model for Office 365 ProPlus and Windows 10, making both easier to deploy and keep up to date. 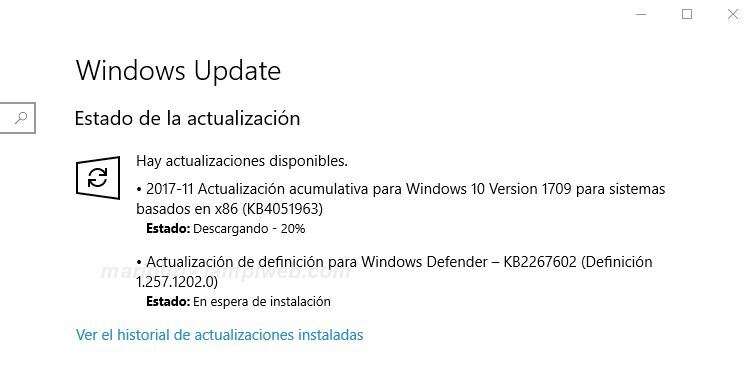 Windows 10 Fall Creators Update es la próxima gran actualización de características del sistema y estará disponible a partir de septiembre.. Microsoft desvela ahora la lista de caracteristicas que serán eliminadas y las que quedarán sin actualización para mas adelante también ser eliminadas. 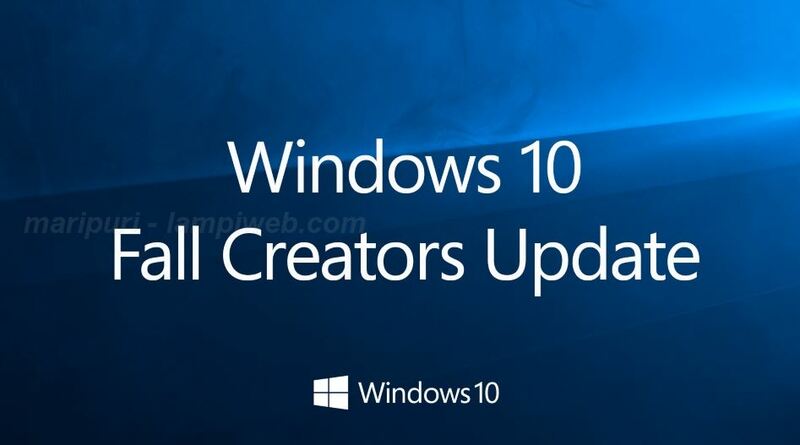 Es oficial, aprovechando el paso de Microsoft por el evento mundial IFA Terry Myerson (Vicepresidente Ejecutivo) publica hoy en los blogs de Windows la entrada "Create and play this holiday with the Windows 10 Fall Creators Update coming Oct. 17" donde se da una fecha concreta para la disponibilidad general de la próxima gran actualización de características de Windows 10. 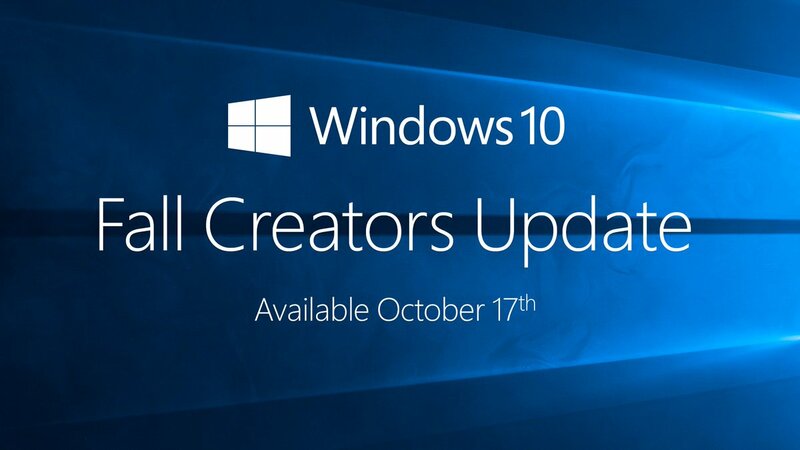 Today, we’re pleased to announce that the next update of Windows 10, the Fall Creators Update, will be available worldwide October 17. With the Fall Creators Update, we are introducing some fun, new ways to get creative. Como anécdota comentar que ayer uno de sus socios (Lenovo) filtraba esta fecha en alguno de los documentos de sus nuevos productos..
Fluent Design: The UI for Start Menu, Action Center, and Microsoft Edge includes Acrylic Material and translucent effects. Pin contacts to the taskbar: You will be able to Pin contacts to the taskbar for one-click access by Mail app or Skype. Pin favorite websites to the taskbar: Pin a website to the taskbar from Edge browser for instant access. Get web search results in Cortana without opening your browser: Cortana will expand automatically with results. New handwriting experience: A handwriting panel features more gestures, easier editing, emoji & improved handwriting recognition. New gaming features: PC gamers can stream games using Mixer and get better performance using the Game Mode. Story Remix: Add 3D effects to your photos and video clips along with soundtracks, themes, and transitions. Currency converter in Calculator: An international currency converter is built into the Calculator app. Support for 3D in Office apps: Easily insert a 3D object into a Word, Excel or PowerPoint file. Emoji 5.0: New and improved emoji designs. PDF-based forms in Microsoft Edge: Fill in PDF-based forms within Edge and make notes directly on PDFs. OneDrive Files On-Demand: You can view and access OneDrive files in File Explorer without using disk space. Touch keyboard on PC: The one-handed touch keyboard provides shape writing, dictation, and enhanced text prediction. Improved battery life: Will save up to 11% in CPU power consumption by throttling background apps. View Mixed Reality: Through the camera on your PC, you can see 3D objects mixed into your actual surroundings. Improved Pen experience: Scroll with your pen, select content more efficient, and get help finding a lost pen. More security & protection: New protections in Windows Defender Antivirus help safeguard against malicious apps and threats, including ransomware. Connect to Android/iPhone: View a website or Office doc on your iPhone or Android phone and move to your PC with one click. Continuando con nuestro compromiso con el control de la privacidad y los datos, hoy anunciamos las mejoras de privacidad que llegan a Windows 10 Fall Creators Update para los consumidores y clientes comerciales que aumentan aún más su acceso a la información y le proporcionan un mayor control sobre la información que se recopila. Recuerda que puedes aplazar la actualización a la nueva versión del sistema "Fall Creator Update" la cual comenzará a estar disponible a partir del día 17 de este mes. 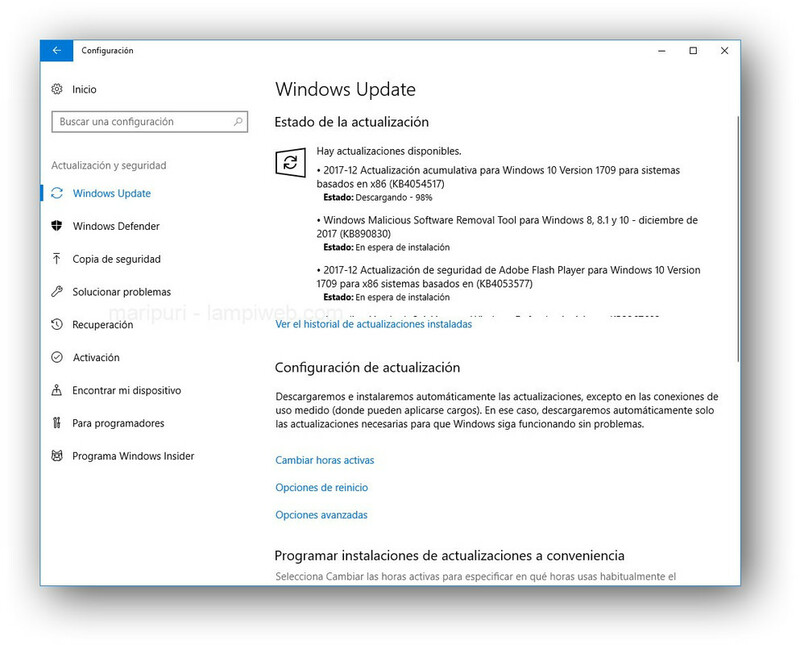 Llegó el día, el despliegue de Windows 10 Fall Creators Update comenzó a las 10am (P.T) y llegará a todos los dispositivos de forma escalonada y en etapas comenzando por las mas nuevas como en la anterior versión. 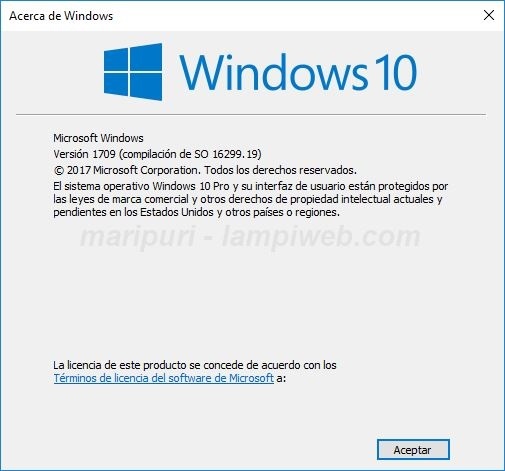 La recomendación es esperar a que se ofrezca en el dispositivo vía Windows Update..
For the best experience, we recommend you wait until Windows 10 is automatically offered to your device. You don’t have to do anything to get the update; it will roll out automatically to you through Windows Update if you’ve chosen to have updates installed automatically on your device. Once the download is complete and the update is ready to install, we’ll check with you, so you can pick the right time to finish the installation and reboot. We do this so we can ensure the update does not disrupt you, and we use active hours to help suggest a good time. Si NO quieres esperar puedes optar por varias opciones, la primera sería comprobar manualmente las actualizaciones por si tu dispositivo es elegible como parte de la implementación en la fase inicial. ..con esta acción obtendrás el Asistente para actualización el cual se encarga de revisar los requisitos, obtener actualizaciones y preparar el dispositivo para descargar la nueva versión. 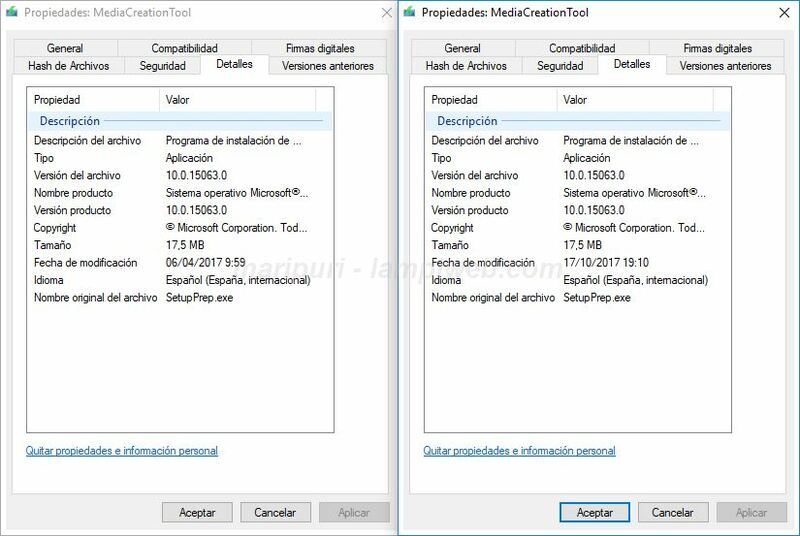 En la imágen puedes comprobar la diferencia entre la versión anterior (izq) y la versión actual de (1.4.9200.22256) la herramienta, asegúrate bien antes..
Todavía existe otra opción mas, la Herramienta de Creación de Medios con la que puedes realizar una instalación en limpio, conservando todo u obtener las ISO de Windows 10 Fall Creators Update. Por tanto para los mas 'impulsivos' calma y comprobad bien antes de continuar o estaréis instalando la misma versión del sistema que ya tenéis instalada. Al contrario que con Creator Update que tardó un par de meses en llegar en esta ocasión el mismo día (el pasado martes) de la disponibilidad gral. mis dos equipos principales fueron elegibles como parte de la implementación en la fase inicial. Lo cierto que ambos casos la descarga e instalación se realizó de forma fluida y rápida. Ahora queda por ver en el portátil, cualquier diá de estos que tenga un rato.. Addressed issue where, after removing apps, they're reinstalled on every restart, logoff, and login. Addressed issue where localization of the error output from a JET database is broken. Only English error strings are reported. Security updates to Windows kernel-mode drivers, Microsoft Graphics Component, Internet Explorer, Windows kernel, Microsoft Windows Search Component, Windows TPM, Windows NTLM, Device Guard, Microsoft Scripting Engine, Windows Wireless Networking, Microsoft Windows DNS, Windows Server, Microsoft JET Database Engine, and the Windows SMB Server . Addressed issue that causes the Mixed Reality Portal to stop responding on launch. Addressed issue that causes a black screen to appear when you switch between windowed and full-screen modes when playing some Microsoft DirectX games. Addressed a compatibility issue that occurs when you play back a Game DVR PC recording using Android or iOS devices. Addressed issue where the functional keys stop working on Microsoft Designer Keyboards. Addressed issue to ensure that certain USB devices and head-mounted displays (HMD) are enumerated properly after the system wakes up from Connected Standby. Addressed issue where the virtual smart card doesn't assess the Trusted Platform Module (TPM) vulnerability correctly. Addressed issue where Get-StorageJob returns nothing when there are storage jobs running on the machine. Addressed issue where applications based on the Microsoft JET Database Engine (Microsoft Access 2007 and older or non-Microsoft applications) fail when creating or opening Microsoft Excel .xls files. The error message is: “Unexpected error from external database driver (1). (Microsoft JET Database Engine)". Addressed issue where application tiles are missing from the Start menu. Additionally, applications that the Store app show as installed don't appear on the application list of the Start menu. Computers that have Internet connectivity and upgrade on or after November 14, 2017 will receive this preventative solution and avoid this issue. Machines that lack network connectivity or have already encountered this issue should follow the steps in the Microsoft Answers thread “Missing apps after installing Windows 10 Fall Creators Update”. Microsoft will release and document an additional solution in a future release. Addressed issue where Microsoft Edge cannot create a WARP support process and appears to stop responding for up to 3 seconds during a wait timeout. During the timeout period, users cannot navigate or interact with the requested page. Security updates to Microsoft Scripting Engine, Microsoft Edge, Microsoft Graphics Component, Windows kernel, Internet Explorer, and Windows Media Player. Addressed a script-related issue that caused Internet Explorer to stop working in some cases. Addressed issue with the Input Method Editor’s (IME) text input window for Internet Explorer. Addressed issue with rendering a graphics element in Internet Explorer. Addressed issue with form submissions in Internet Explorer. Addressed issue where the Location-hash is lost when navigating back if you previously navigated to an invalid URL. Microsoft Outlook cannot connect to Microsoft Office365. Internet Explorer and Microsoft Edge cannot successfully render any content (including local computer content, local network content, or web content). Cisco Jabber stops responding, which blocks messaging and telephony features. Any application or service that relies on WinHTTP is impacted. Addressed a performance regression when users run full-screen Microsoft DirectX 9 games and applications. Addressed issue that prevents Forza Motorsport 7 and Forza Horizon 3 from running on some high-end gaming laptop configurations. Addressed issue where user selections for Feedback Frequency in Settings > Privacy > Feedback & diagnostics aren't saved. Addressed issue where RNDIS5 networking devices don't get a valid IP address or don't show network connectivity. If the issue continues after installing the update, you may need to uninstall and reinstall your Remote NDIS network adapter using Device Manager. Addressed issue where if a user manually changes the system's time zone and doesn't log off or restart, the new time doesn't display on the Lockscreen clock. Addressed issue that impacted some Epson SIDM (Dot Matrix) and TM (POS) printers, which were failing to print on x86 and x64-based systems. This issue affects KB4048955. Updates Internet Explorer’s default visibility for the button that launches Microsoft Edge. Addresses issue where Windows Defender Device Guard and Application Control block some applications from running, even in Audit-Only Enforcement Mode. Addresses issue to reset PLC bit on U0/U3 transitions. Addresses issue with personalized Bluetooth devices that don't support bonding. Addresses issue where the touch keyboard doesn’t support the standard layout for 88 languages. Addresses issue where the touch keyboard for a third-party Input Method Editor (IME) has no IME ON/OFF key. Addresses additional issues with updated time zone information. Addresses issue where, when using System Center Virtual Machine Manager (VMM), the user can't copy or clone virtual machines (VM). The error message is "0x80070057- Invalid parameter". This issue affects the VMM UI and PowerShell scripts used for VM cloning and copying. Security updates to the Microsoft Scripting Engine, Microsoft Edge, and Windows Server. (si, ahora son dos) encontradas en los procesadores Intel (y parce que también AMD, ARM, etc) que afectan a prácticamente todos los procesadores del mercado a nivel kernel. Addresses issue where event logs stop receiving events when a maximum file size policy is applied to the channel. Addresses issue where printing an Office Online document in Microsoft Edge fails. Addresses issue where the touch keyboard doesn’t support the standard layout for 109 keyboards. Addresses video playback issues in applications such as Microsoft Edge that affect some devices when playing back video on a monitor and a secondary, duplicated display. Addresses issue where Microsoft Edge stops responding for up to 3 seconds while displaying content from a software rendering path. Addresses issue where only 4 TB of memory is shown as available in Task Manager in Windows Server version 1709 when more memory is actually installed, configured, and available. Security updates to Windows SMB Server, the Windows Subsystem for Linux, Windows Kernel, Windows Datacenter Networking, Windows Graphics, Microsoft Edge, Internet Explorer, and the Microsoft Scripting Engine. For more information about the resolved security vulnerabilities, see the Security Update Guide. Ojo a los problemas conocidos, algunos antivirus pueden provocar pantallazos azules..
Debido a un problema con algunas versiones del software Anti-Virus, esta solución solo se aplica a las máquinas donde el antivirus ISV ha actualizado ALLOW REGKEY. 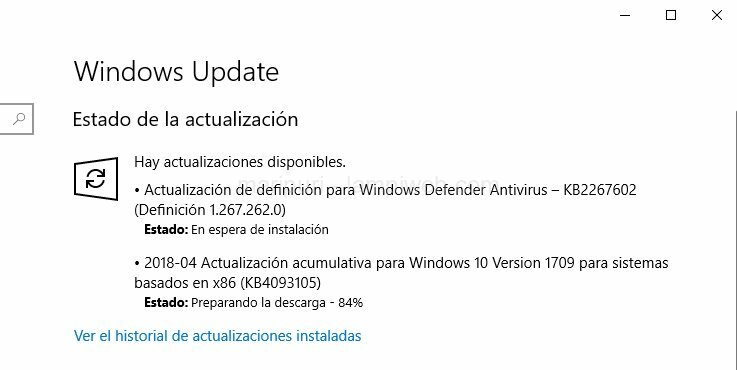 De no ser así pueden ocasionar daños mayores..
I’m happy to announce the Fall Creators Update (version 1709) is fully available for all compatible devices running Windows 10 worldwide! Full availability is the final phase of our rollout process. When a new feature update is released, we begin by targeting a select set of devices that we believe will have the best update experience based on device characteristics and testing done by us and our device partners. We then monitor feedback for issues around application and device compatibility and make adjustments along the way, if necessary. Actively listening for and responding to issues as they emerge helps us confidently expand the release to additional devices while maintaining a quality experience. We’re pleased to announce that the Fall Creators Update was the fastest Windows 10 release to reach 100M devices, all while achieving higher customer satisfaction ratings compared to prior updates! Enterprise customers following this same targeted approach for the Semi-Annual Channel can also fully deploy when ready. As an IT administrator, you decide when to broadly deploy once you have validated the apps, devices, and infrastructure in your organization work well with this release. You no longer need to wait for our signal – deployment control and choice is yours. * IT admins can leverage Windows Analytics tools that help you plan, test and deploy Windows 10 to your organization, and help accelerate Windows 10 migration. You can learn more about Windows Analytics tools and best practices for deployment and servicing the Semi-Annual Channel releases. Publican esto cuando la versión de Windows en curso está lo suficientemente "pulida" como para actualizar sin riesgos o para las empresas.. 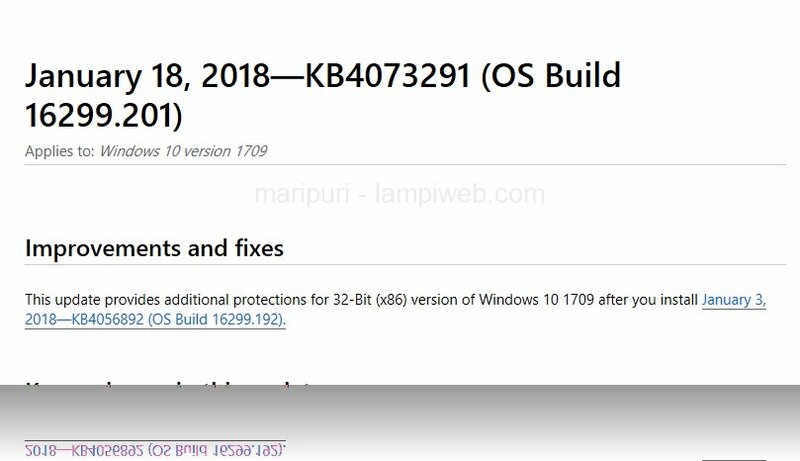 This update provides additional protections for 32-Bit (x86) version of Windows 10 1709 after you install January 3, 2018—KB4056892 (OS Build 16299.192). 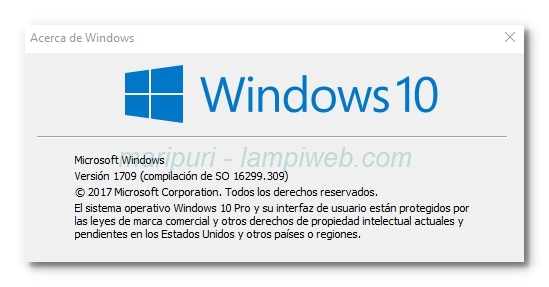 Lo cierto es que tengo instalado el parche del pasado día 3 y este equipo ejecuta Windows 10 1709 (FCU) pero aún no la veo.. Addresses a compatibility issue where colors are distorted when the system is connected to displays that support wide color gamut. Addresses a condition where a second monitor that is connected to legacy AMD display adapters flashes after waking from sleep. Addresses issue that causes delays when switching keyboard languages using Alt+Shift. Addresses compatibility issues when rendering certain closed captions or subtitle formats during video playback. Addresses issue where the Microsoft Edge Allow Extension Group Policy for the disabled state was not working. Provides additional protections for 32-bit (x86) versions of Windows 10, version 1709. Resolves the issue reported by some customers on a small subset of older AMD processors where the processor entered an unbootable state after installing January 3, 2018—KB4056892 (OS Build 16299.192). Además de 13, martes de parches bastante importante.. Addresses issue where child accounts are able to access InPrivate mode on ARM devices even though their browsing and search history is sent to their parents. This occurs only on Microsoft accounts belonging to children that are managed using the Microsoft Family service and for which parents have enabled activity reporting. This applies to Microsoft Edge and Internet Explorer. Addresses issue with docking and undocking Internet Explorer windows. Addresses issue in Internet Explorer where pressing the delete key inserted a new line in input boxes in an application. Addresses issue in Internet Explorer where selected elements wouldn't update under certain circumstances. Addresses issue where some users may have experienced issues logging into some websites when using third-party account credentials in Microsoft Edge. Addresses issue with browser Compatibility View settings that occurs during updates. Addresses issue where, in certain hardware configurations, the frame rates of DirectX Games were unintentionally limited to a factor of the display's vertical synchronization. Addresses issue where surround sound audio endpoints reverted to stereo after restarting. Improves and reduces conditions where certain Bluetooth keyboards drop keys during reconnection scenarios. Corrects mouse delays for devices that incorrectly report the battery level status. Addresses issue where MMC application snap-ins—such as Services, Local Policy Admin, and Printer Management—fail to run when Windows Defender Application Control (Device Guard) is turned on. The error is "Object doesn't support this property or method". Prevents use of the Pre-production Onesettings endpoint for Windows Setup when test signing is enabled. Addresses issue where installations of Windows Server, version 1709 are not automatically activated using the Automated Virtual Machine Activation (AVMA) feature on Hyper-V hosts that have been activated. Addresses issue with the Auto-register Inbox templates feature for UEV where the Scheduled Task didn't have the proper trigger. Addresses issue where the App-V client didn't read the policy for SyncOnBatteriesEnabled when the policy was set using a Group Policy Object (GPO). Addresses issue where the Supported On field for the Enable App-V Client policy is blank in the Group Policy editor. Addresses issue where the user’s hive data in the registry is not maintained correctly when some App-V packages belong to the connection group. Provides additional logging for administrators to take action, such as picking a proper configuration for their App-V package, when there are multiple configuration files for a single package. Security updates to Microsoft Scripting Engine, Microsoft Edge, Internet Explorer, Microsoft Windows Search component, Windows Kernel, Windows Authentication, Device Guard, Common Log File System driver, and the Windows storage and file systems. Addresses issue with printing XML documents with Internet Explorer and Microsoft Edge. Addresses issue with pinch and zoom gestures on some hardware in Internet Explorer. Addresses issue to prevent media and other applications from becoming unresponsive or failing when upgrading graphics drivers. Addresses issue where customers receive "Check your account, you don't own this content” errors when attempting to play or install owned content. This issue can also result in customers getting kicked out of a game in the middle of play. Addresses issue where, after installing KB4056892,KB4073291, KB4058258, KB4077675, or KB4074588 on a server, you may not be able to access SMB shared files in directory junction points or volume mount points hosted on that server. The error is "ERROR_INVALID_REPARSE_DATA”. As a result, editing some group policies using GPMC or AGPM 4.0 may fail with the error "The data present in the reparse point buffer is invalid. (Exception from HRESULT: 0x80071128)". Addresses issue where an AD FS server issue causes the WID AD FS database to become unusable after a restart. This might prevent the AD FS service from starting. Addresses issue where, after installing KB4090913, the Mixed Reality Portal may fail to initialize. This results in an “SXXXXXXX-X” error or a “We couldn’t download the Windows Mixed Reality Software” message may appear after the software is successfully downloaded. Lifts the Anti-Virus (AV) compatibility check to expand the number of Windows 10 devices that are offered cumulative Windows security updates. 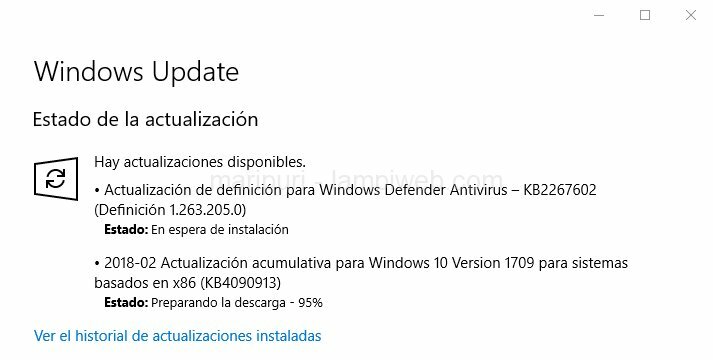 This includes cumulative Spectre and Meltdown protections for 32-Bit (x86) and 64-Bit (x64) versions of Windows, except the KB4078130 update that was offered to disable mitigation against Spectre Variant 2. Addresses issue that only affects some versions of antivirus software and only applies to computers on which the antivirus ISV updated the ALLOW REGKEY. Security updates to Internet Explorer, Microsoft Edge, Microsoft Scripting Engine, Windows Desktop Bridge, Windows Kernel, Windows Shell, Windows MSXML, Device Guard, Windows Hyper-V, Windows Installer, and the Microsoft Scripting Engine. Addresses issue with a GDI handle leak in the Windows Ribbon control. Addresses issue where users can't select OK after entering credentials in command line on Windows Server version 1709. Addresses issues where Bluetooth devices fail to receive data after a restart. Addresses issue where, during BitLocker decryption or encryption of a drive, files protected with the Encrypting File System (EFS) may become corrupted. Addresses issue where the server may occasionally encounter an error during file transfer. The error is “Stop D1 in tcpip!TcpSegmentTcbSend”. Addresses issue where an iSCSI RESET might trigger a cluster failover. Addresses issue in MPIO where pass-through SCSI requests might lead to a stop error if the disk is pending removal. Addresses issue where processing of group policies may fail, and policies may be removed as a result. This occurs if the length of the Windows Defender Firewall policy rule exceeds 260 characters. Addresses issue caused by a new privilege in Windows Server 2016 and Windows 10 version 1709 named "Obtain an impersonation token for another user in the same session”. When applied using Group Policy to those computers, gpresult /h fails to generate reporting data for any setting configured by the Security Configuration Engine (SCE) extension. The error message is “Requested value ‘SeDelegateSessionUserImpersonatePrivilege’ was not found”. The Group Policy Management Console fails to show the privilege in the Settings tab for a GPO where the setting has been configured. Addresses issue where errors may occur when accessing WebDAV files or folders on a SharePoint site if the file or folder name contains multibyte characters. Addresses issue where the Remote Desktop License report gets corrupted when it exceeds the 4 KB size limit. Addresses issue where an Azure point-to-site VPN connection that uses IKEv2 may fail when the user's device contains a large number of trusted root certificates. Addresses rendering issue in Microsoft Edge for PDF documents with backgrounds created using various third-party publishing tools. Addresses issue where a media platform stops responding when changing cameras rapidly on a device. Addresses issue where a media platform stops responding, which affects media playback in Microsoft Edge, Internet Explorer, and Microsoft PowerPoint. Addresses issue with spatial audio when used in connection to Dolby Atmos for Headphones. Addresses issue where a credential prompt that requires administrative privileges appears when a standard user account performs the first logon to a Windows 10 device that has been deployed using Windows Autopilot. Addresses issue where tiles in the Start menu aren't preserved when upgrading from Windows 10 version 1607 to Windows 10 version 1709. Addresses issue with Spell Check and custom dictionaries. Addresses issue with the press and hold feature when using a pen in Tablet mode. Addresses issue with editing web password fields using a touch keyboard. Addresses issue where some Bluetooth card readers don't work after a restart. Provides support to control usage of Indirect Branch Prediction Barrier (IBPB) within some AMD processors (CPUs) for mitigating CVE-2017-5715, Spectre Variant 2 when switching from user context to kernel context (See AMD Architecture Guidelines around Indirect Branch Control and AMD Security Updates for more details). 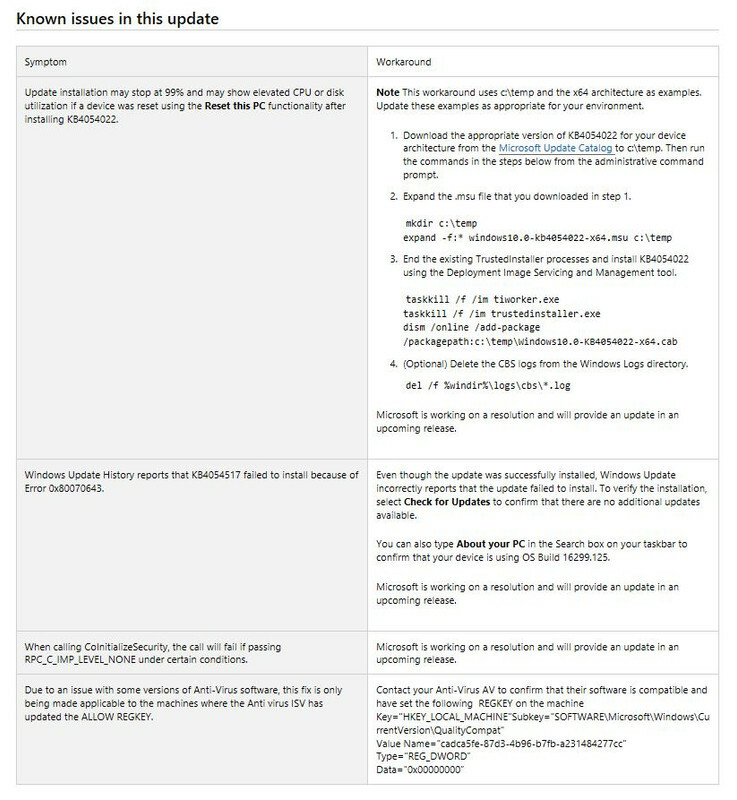 Follow instructions outlined in KB4073119 for Windows Client (IT Pro) guidance to enable usage of IBPB within some AMD processors (CPUs) for mitigating Spectre Variant 2 when switching from user context to kernel context. Addresses an issue that causes an access violation in Internet Explorer when it runs on the Microsoft Application Virtualization platform. Addresses an issue in Enterprise Mode related to redirects in Internet Explorer and Microsoft Edge. Addresses an issue that generates an access violation on certain pages in Internet Explorer when it renders SVGs under a high load. Addresses an issue that might cause the App-V service to stop working on an RDS server that hosts many users. Addresses an issue where user accounts are locked when applications are moved to a shared platform using App-V (e.g., XenApp 7.15+ with Windows Server 2016, where Kerberos authentication isn't available). Addresses an issue with printing content generated by ActiveX in Internet Explorer. Addresses an issue that causes document.execCommand("copy") to always return False in Internet Explorer. Addresses an issue that, in some instances, prevents Internet Explorer from identifying custom controls. Security updates to Internet Explorer, Microsoft Edge, Windows kpp platform and frameworks, Microsoft scripting engine, Windows graphics, Windows Server, Windows kernel, Windows datacenter networking, Windows wireless networking, Windows virtualization and Kernel, and Windows Hyper-V. Addresses an issue that causes modern applications to reappear after upgrading the OS version even though those applications have been deprovisioned using remove-AppXProvisionedPackages-Online. Addresses an issue in which running an application as an administrator causes the application to stop working when pasting the user name or password into the user elevation prompt (LUA). Addresses an issue that causes Skype and Xbox to stop working. Addresses an issue that prevents Autodiscover in Microsoft Outlook 2013 from being used to set up email accounts when UE-V is enabled. Addresses an issue where AppLocker publisher rules applied to MSI files don’t match the files correctly. Addresses an issue that prevents Windows Hello from generating good keys when it detects weak cryptographic keys because of TPM firmware issues. This issue only occurs if the policy to require the TPM is configured. Addresses an issue that prevents users from unlocking their session and sometimes displays incorrect user-name@domain-name information on the logon screen when multiple users log on to a machine using fast user switching. This specifically happens when users are logging on from several different domains, are using the UPN format for their domain credentials (user-name@domain-name), and are switching between users using fast user switching. Addresses an issue that causes the browser to prompt for credentials often instead of only once when using the Office Chrome extension. Addresses an issue related to smart cards that allow PINs or biometric entry. If the user enters an incorrect PIN or biometric input (e.g., a fingerprint), an error appears, and the user must wait up to 30 seconds. With this change, the 30-second delay is no longer required. Increases the minimum password length in Group Policy to 20 characters. Addresses an issue that displays name-constraint information incorrectly when displaying certificate properties. Instead of presenting properly formatted data, the information is presented in hexadecimal format. Addresses an issue that generates a certificate validation error 0x800B0109 (CERT_E_UNTRUSTEDROOT) from http.sys. Addresses an issue in which resetting the Windows Hello PIN at the logon prompt puts the system in a state that makes resetting the PIN again impossible. Addresses an issue where the right-click context menu for encrypting and decrypting files using Windows Explorer is missing. Addresses an issue that suspends BitLocker or Device Encryption during device unenrollment instead of keeping the drive protected. Addresses an issue that causes Microsoft Edge to stop working after a few seconds when running a software restriction policy. Addresses an issue that may cause a file system mini-filter to fail to unload because of a leak in Filter Manager, which requires a restart. Addresses an issue that causes the connection bar to be missing in Virtual Machine Connection (VMConnect) when using full-screen mode on multiple monitors. Addresses an issue that prevents certain devices from working on Windows 10, version 1709, machines when the “Disable new DMA devices when this computer is locked” Group Policy is active. The non-working devices are internal, PCI-based peripherals (wireless network drivers and input and audio peripherals). These peripherals can fail on systems whose firmware blocks the peripherals from performing Direct Memory Access (DMA) at boot. Addresses an issue that might cause Windows Server 2016 Domain Controllers to log Microsoft Windows Security audit events ID 4625 and ID 4776. The username and domain name in the events may appear truncated, only showing the first character for logons coming from client applications using wldap32.dll. Addresses an issue in which users may exist in a domain that is trusted using transitive trust, but are unable to locate a PDC or DC for the Extranet Lockout feature. The following exception occurs: “Microsoft.IdentityServer.Service.AccountPolicy.ADAccountLookupException: MSIS6080: A bind attempt to domain 'globalivewireless.local' failed with error code '1722'”. Also, the following message appears on the IDP page: "Incorrect user ID or password. Type the correct user ID and password, and try again." Addresses an issue that occurs when Volume Shadow Copy is enabled on a volume that hosts a file share. If the client accesses the UNC path to view the properties in the Previous Version tab, the Date Modified field is empty. Addresses an issue that occurs when a user with a roaming user profile first logs on to a machine running Windows 10, version 1607, and then logs off. Later, if the user tries to log on to a machine running Windows 10, version 1703, and opens Microsoft Edge, Microsoft Edge will stop working. Addresses an issue that makes a Japanese keyboard unusable in remote assistance sessions. Addresses an issue that causes the cursor to unexpectedly move to center of the screen when changing the display mode. Addresses a potential leak caused by opening and closing a new web browser control. Addresses an issue that causes the ContentIndexter.AddAsync API to throw an unnecessary exception. Addresses an issue with the first launch performance of UWP Desktop Bride apps. Addresses an issue with the Search tab of Microsoft Outlook 2016 during the upgrade from Windows 10, version 1703, to Windows 10, version 1709. Addresses an issue that causes updates for large game apps to fail. Addresses an issue that causes invisible apps to appear in the Start menu. Addresses an issue that might cause some users to experience unexpected panning or scrolling in certain apps while using the pen. Página generada en 0.055 segundos con 29 consultas.